Normally seen in early October, This may be an early Draconid Meteor. 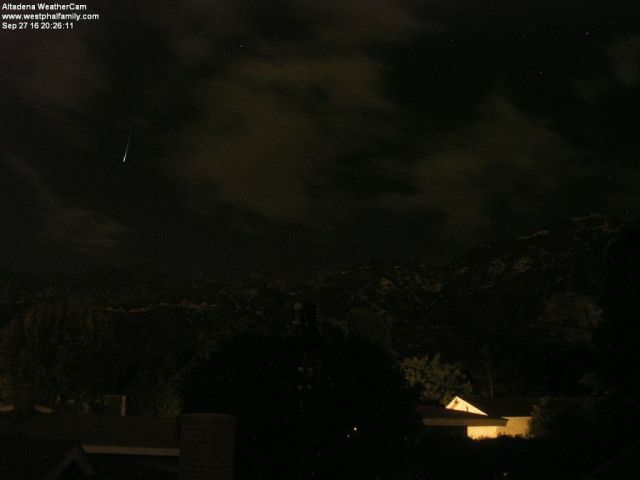 One of the Altadena WeatherCam regular viewers, Carol Doupe' Canterbury, brought this to my attention. Thank you Carol. Keep watching. Info about the Draconids can be seen in the other Draconid Meteor image in this gallery.